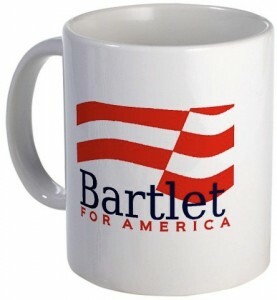 I can hear Jed Bartlet, President of the United States in the TV series West Wing, in my head “I’ve read my bible from cover to cover, so, I want you to tell me, from what part of holy scripture do you. . .” as I hang up the phone after talking to a southern male potter. I talk to potters all day. I get paid to do it. And they always have a story to tell or an opinion to share. Yesterday as no different. This Louisiana gentleman was bantering in his charming drawl with me as older gentleman like my fathers age do. They are harmless and I think to myself when I am talking to them someone out there is being entertained by my father and I would want them to give him that respect. He asked me about the comparison between two pottery wheels. Now, I am knowledgeable enough to spout a few things, after all I have been doing this for 15 years professionally; and he knew that. He could tell I knew the specs and the speech so he asked “Do you pot?” I told him I have thrown; but I don’t care for the wheel. “You don’t care for the wheel?” He asks shocked, appalled then disappointed, “Well then little lady what do you with clay?” I verbally scooped up the clay from splash pan and said, “Well, sir, I am an extrudist.” I might as well said I was a nudist. “Huh.” He said shortly and thanked me for my time and information. After letting the conversation set up in the back of my mind, getting leather hard in my head, I thought about Jed and how he like to quote from the Bible. “I’ve read my bible from cover to cover, so, I want you to tell me, from what part of holy scripture do you. . .” get the right to judge me as a potter. This happens often with people who touch clay. Now, I don’t think this gentleman meant any harm or was judging me; but there have been others over the years who have. The politics and hierarchy in clay astounds me. There is the ceramist, the potter, the clay hobbyist, the slipcaster, the China painters, and anyone else that has dabbled with clay in their lifetime. Are we not all potters? Do we not all honor the clay, create from inspiration, manipulate the mud or glaze to produce goods for all or for fun? I can hear Jed in my head doing one of those wonderful speeches he so often casted. I can hear him quote from Romans 9:21 while walking with his hands in his pockets, “Hath not the potter power over the clay, of the same lump to make one vessel unto honour and another unto dishour?” Just because we play with mud doesn’t mean we need to smear each others craft. We are all potters in our own right, doing an honest deed and paying it forward with our gift and talent to create a piece of art from the earth and mixed with water, passion and inspiration, like Jed Bartlet.